EventsEvents, organised by GCN Events, host annual conferences for event professionals to harness innovation, inspiration and creativity to accelerate business events. 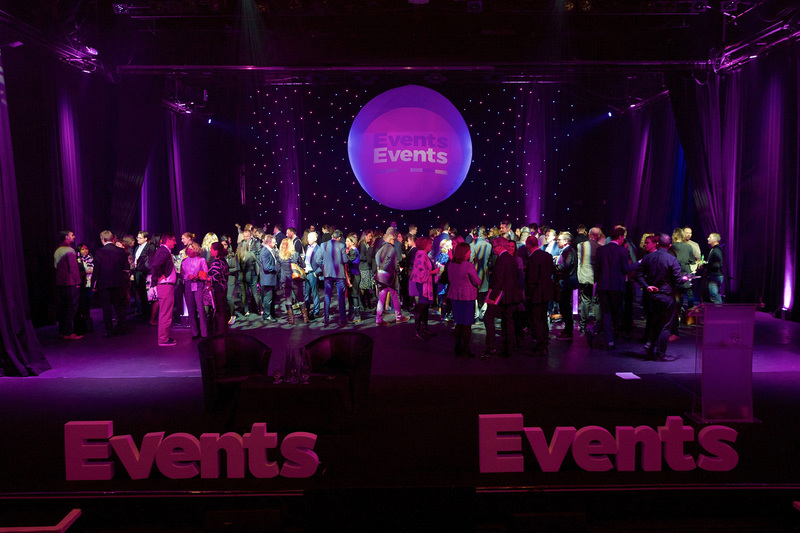 EventsEvents conference is split within five events summits; Conference, Event Marketing, Venue, Association and Awards. 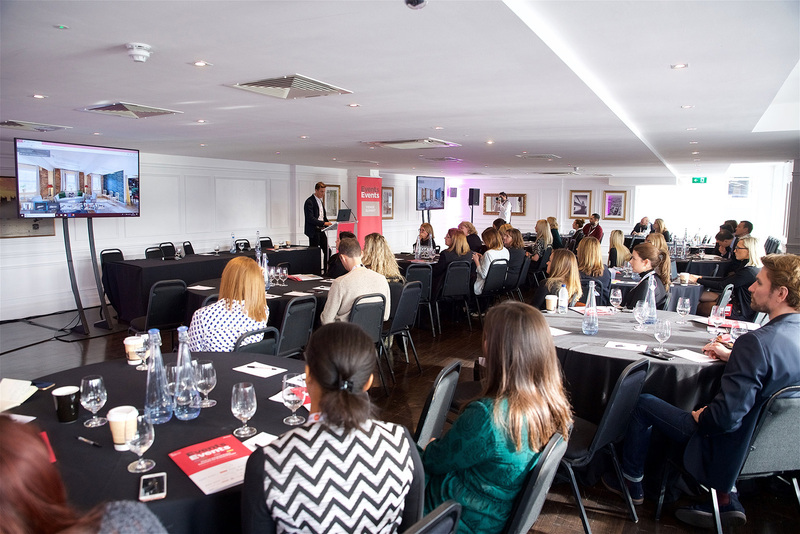 GCN Events chose The Mermaid London for its accessible location in the City of London – ideal for delegates travelling from across the country, exclusive use capability, event space flexibility and its reputable customer service. 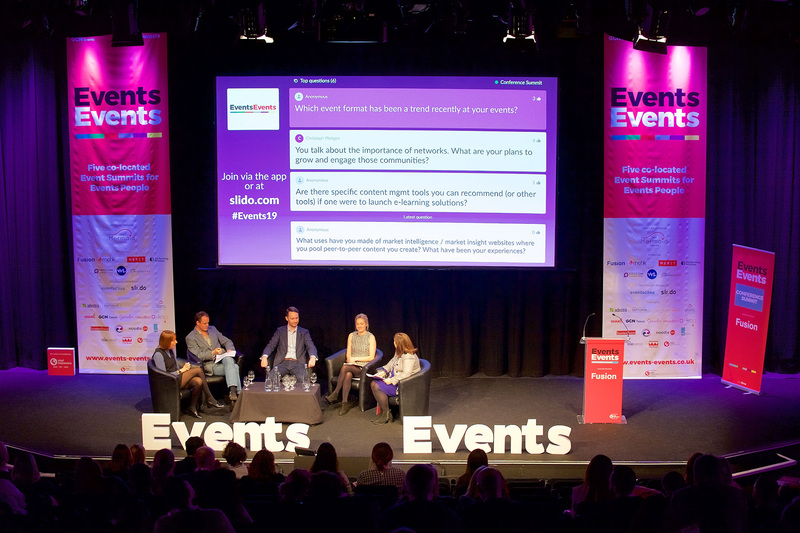 On the 31st January 2019, EventsEvents took over The Mermaid London for an all-encompassing one-day event for the conference industry. The venue’s event spaces including the versatile Newgate Suite, the impressive River Rooms with views of The Shard, Tate Modern and Shakespeare’s Globe, and the Auditorium, the only 600-seated auditorium in the City of London, were set up to quickly turn around multiple event summits throughout the course of the day. The main event took place in the Auditorium which included welcome speeches and panel discussions with expert speakers. 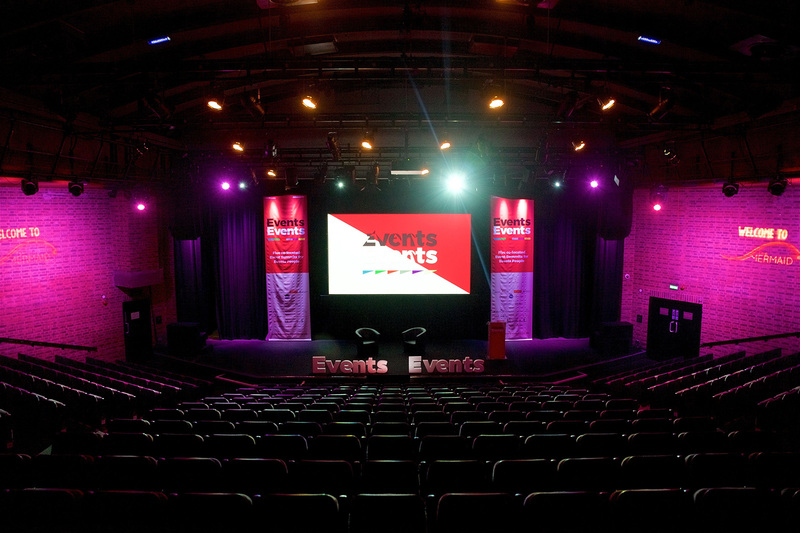 EventsEvents made use of the venue’s partnership with award-winning production company White Light, to arrange for GCN Events company colours to brand the auditorium with lighting effects, gobos and even a bespoke EventsEvents branded lighting sign. White Light also provided complete event production support throughout the entire venue, with an expert team on-site to install and de-rig all state-of-the-art equipment and facilities provided. Following the main event guests were directed to the four events summits held throughout the venue. Set up in a cabaret style, the Newgate Suite event spaces and the Lower River Room were used for key speeches, interactive panel discussions and small round table sessions, with topics focusing on individual summits. Lunch was served in the Upper River Room, a blank canvas space that boasts striking views across the River Thames. In addition to lunch, an exhibition was set-up in the space for sponsors of the event to exhibit and network with attendees and potential buyers. To finish the conference, guests gathered for the closing keynote speeches in the Auditorium. This followed with an impressive reveal of the wider stage, inviting attendees onto the stage for the closing drinks reception. The space boasted branded colour themed lighting and the EventsEvents logo projected onto the central sphere, suspended from the ceiling. EventsEvents worked closely with The Mermaid London and their preferred supplier, Vinyl Impressions, to install extensive branding throughout the venue to transform spaces with bright and vibrant coloured graphics plastered across the floors, walls and ceilings. Throughout to the event, The Mermaid London excelled EventsEvents expectations, providing constant support and offering suitable suggestions to the event-set to help ensure a smooth delegate experience. Claire Wormsley, Founder and Director at Global Conference Network, commented: “I just wanted to say thank you for hosting yesterday. Managing the event with your team has been fantastic. The team were all so professional and really went above and beyond, they could not do enough for us. I never had to chase or worry, I always knew that everything would be on time and ready. The team also made a real difference in the build-up, suggesting ideas to improve and enhance the day for us. The food was fantastic – everyone commented how tasty it was and loved all the extras at coffee. The Auditorium, Foyer and Mezzanine go together like rhythm and blues. Used independently or together, all areas can be branded and designed to your desired style – we love it when guests feel at home.